I met Frankie Crocker at a party many years ago, and you wanna know what we talked about? His program directing at WBLS-FM? No. His VH-1 VJ gig? No. His professional beginnings in Buffalo, New York? No. We talked about Cuban cigars! During that period I smoked Havanas every single day for over 25 years, so when I met him I was surprised to see him with one in his hand. I was already familiar with his value as an artist, so we didn’t have to talk about that. That’s right. An artist. Once upon a time radio DJs were like friends. You were aware of their time slots and followed their schedules on a weekly basis. They had style, some cooler than others. Frankie Crocker had style. He carved himself into an original. He had that suave urbane look for the ladies and all that, but what really set him apart are the kinds of music he introduced to his listeners, for Frankie Crocker was into some deep stuff musically. 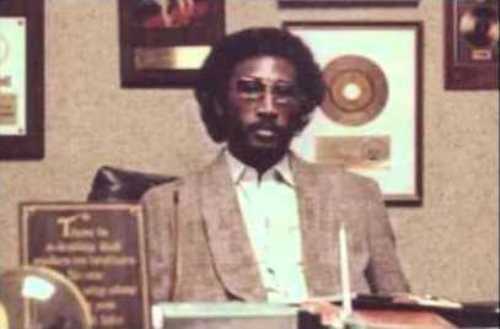 The veneer of Frankie Crocker was furs, silky hair, candlelight baths with female listeners, expensive rides, flamboyance all the way, including once riding into Studio 54 on a white stallion. Ahh, but the music he played. That’s what made him an artist. Especially since today, most people are not creating music from scratch but programming music. And, since we honor these programmers, one of the greatest programmers of ‘em all was Frankie Crocker. This is a small portion of some of the artists he would play for his listeners: George Benson, Miles Davis, Queen, Manu Dibango, Blood Sweat and Tears, the Rolling Stones, Elton John, Prince, Madonna, Maxwell, Human League, Phyllis Hyman, Phil Collins, Bob Marley, Teddy Pendergrass, Luther Vandross, Fela, Teddy Riley, Laura Branigan, Kurtis Blow, Sylvester, Celia Cruz, and he is also recognized as the first to break Sly Stone and Donna Summer on the East Coast. A repertoire like that says a whole lot about a man. Frankie Crocker used to say, "If your radio is not turned on to Frankie Crocker. Then your radio is not really on" He would end with Moody's Mood For Love. I miss that era.